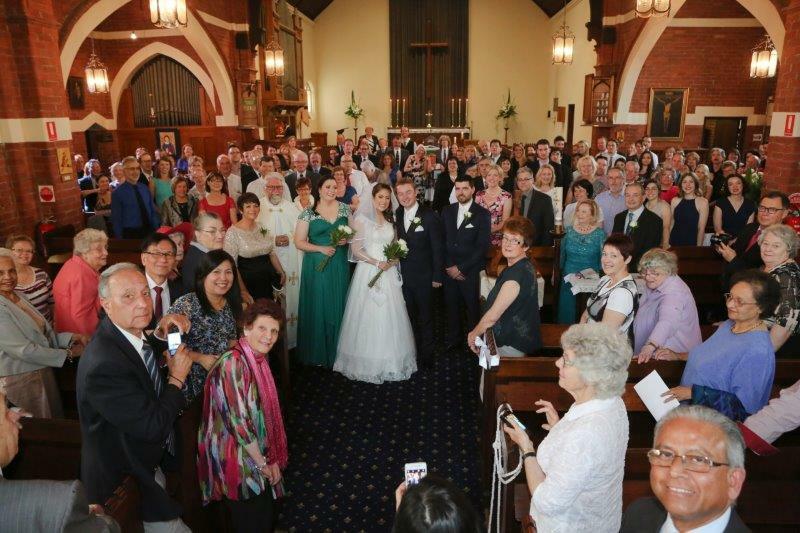 The Anglican Parish of Christ Church Essendon welcomes inquiries about the celebration of marriage. The first step is to make contact with the Parish Priest Fr John (0417407768) to see if a particular date and time can be penciled in as a preliminary booking. The second step is to make a time to meet with the Parish Priest, usually 6 to 12 months before the proposed wedding to confirm arrangements and to start preparing for the wedding service. 3. A rehearsal for the wedding. In choosing a beautiful church for a service of marriage, couples are encouraged to enjoy its atmosphere in advance of the wedding by attending the 9.30 am Sunday Service. The church is a community of people. We look forward to getting to know you and to support you as you venture into married life. If you have not been baptised and/or confirmed and would like to be, or if you would like to find out more about membership of the church, do let us know. When someone’s previous marriage has broken down, marriage in the Anglican Church is only possible after pastoral discussion with the officiating clergy, who must obtain permission from the Bishop in order to conduct the marriage. Evidence of the baptism and/or confirmation of at least one party should be provided. The officiating clergy must see your original Birth Certificate and ideally passport, or a Statutory Declaration regarding your birth details plus Photo ID such as a Drivers Licence to prove who your are. A special form must be completed for anyone under the age of 18 years. This is only possible on the intervention of a Magistrate. Evidence of the Termination of a Previous Marriage. If a person has been divorced or widowed, the officiating clergy must see the Decree Absolute or the Death Certificate.